Fabric is one f the most critical materials for any embroidery project out there and will have a big impact on your end results. Accordingly, you need to opt for the best option if you want to end up with excellent embroidery job. However, there are tons of nuances and implications when it comes to ground fabric because the choices available are so wide that it is easy to get confused. For inspiration, here are a few things that you need to know to confidently navigate though the matter. 1. Significance of a ground fabric: the ground fabric is essentially the fabric on which you’ll be working your embroidery on. It is, therefore, as important as the color, design, and technique that you are going to employ. 2. Quality of fabric: While any fabric can be embellished with hand embroidery, there are fabrics that are considered to be of better quality than others. Generally, better fabrics always give better results. In other words, you get what you pay for. Basing your embroidery project on a low quality fabric is a waste of your time and money because the embroidery work will not last and the end result will not look as good as they should be. 3. Grain: If you are just starting, you need to know that fabrics have 3 types of grains. To begin with, there is the cross grain that runs to the selvedge (the edges of the fabric as it comes off the bolt). There is also the lengthwise grain that runs parallel to the selvedge. Lastly, there is the bias grain, which runs cater-corner to the fabric’s length and cross grain. To get better results, you need to square up the ground fabric so that it can be mounted to the frame. Mounting the fabric off grain can lead to warping or puckering. 4. Support: when choosing ground fabrics for your embroidery services, you should consider aspects such as weight and weave, density of the fabric, and stitch type. Your ground fabric should support the stitch type that you plan to do. Heavier and denser stitching is more suitable for stronger fabrics with weaves that can hold the stitching. On the flip side, light and delicate stitching will often be lost on the burlap. These are some of the things that are worth knowing as far as hand embroidery ground fabrics are concerned. 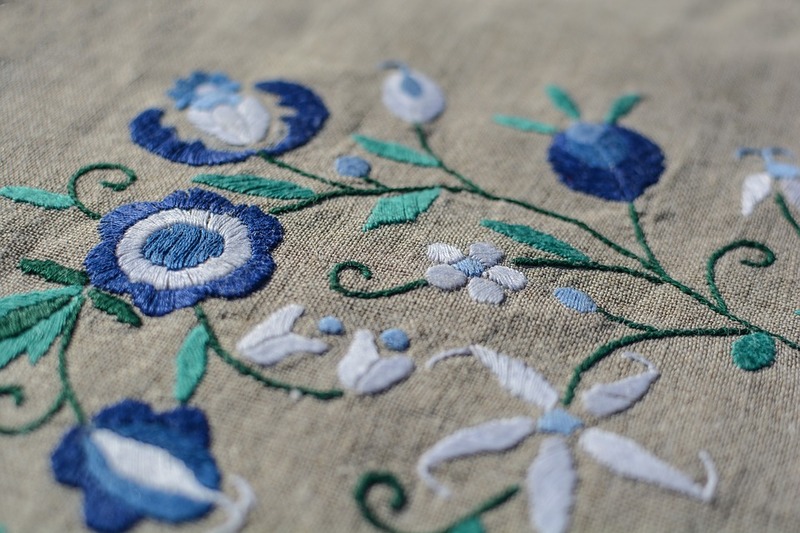 When you are just starting, strive to work with simple ground materials first and gradually advance as you gain more experience, find a unique style, and learn more about your own embroidery preferences.